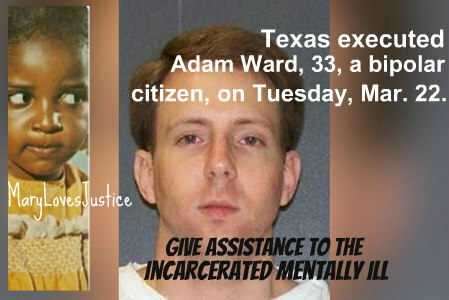 Make an immediate #humanrights demand that no persons with diagnosed mental illnesses should be executed in the USA. Make Adam Ward America's last disabled victim. https://www.usa.gov/elected-officials >> Ward was a 33-year-old severely bipolar man. He was killed by the State of Texas on March 22, 2016, during Passion Week. Like most execution victims, Ward was killed in the Bible Belt. The fact that his murder happened during the week when we commemorate the torture and wrongful execution of Jesus Christ underscores the hypocrisy of capital punishment and the urgency to end State murders, especially of mentally ill people. Terry Harris I feel horrible about mental illness, however if they kill then they should be executed like everyone else! Walt Stawicki i don't know where to start ripping that one apart. Assistance to the Incarcerated Mentally Ill Define "everyone else," please, Terry Harris. Then please cite a case where a murderous #police officer or wealthy person was #executed in the USA. Thanks. 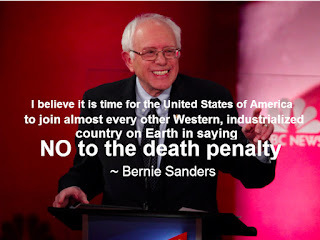 Supporting Sanders for president is one way to express your disapproval of capital punishment. We congratulate Bernie Sanders and everyone who can #FeelTheBern for our victories in the Alaska, Washington, and Hawaii primaries. We urge officials everywhere to say DEATH to the death penalty. Condolences to the family and friends of Adam Ward and Ward's victim. It is likely that if Ward had received timely, adequate treatment for his mental illness, both he and his victim might still be alive. Our most vulnerable citizens are continually killed by untrained and/or sadistic police and corrections officers or by State executions. AIMI finds this completely unacceptable. Articles throughout "Dog Justice for Mentally Ill" blog prove that avoidable tragedies are caused by the denial of treatment and the fact that mentally ill people in crisis are allowed to refuse treatment unless and until they PROVE themselves to be an immediate danger to self and others. Then they are jailed if they live through their lunacy arrests. AIMI believes that such rules were not made to protect civil rights but to increase prison profits, resulting in 1.25 million mentally ill prisoners in America today. "A scary truth: When businesses see profit in prisoners with mental illnesses"
"And there’s growing public awareness that we’ve let our jails and prisons become warehouses for people who need treatment — and needed it long before they took a criminal turn. Incarceration rates are dropping. To most, this is good news. But it’s not if your business model revolves around keeping people locked up." It is good news that Sanders has also taken a stance against private prison profiteering by joining other officials to introduce a solution. H.R. 3543, "Justice Is Not for Sale Act," pending before Congress now. would eliminate government contracts with private prison companies. Period. Note that media companies publish op eds by Mary Sanchez and not Mary Neal because Sanchez is white and the government did not kill her brother during a secret arrest (kidnapping). Nevertheless, the truth is going mainstream. Mass arrest and murders of mentally ill people continue under the color of law, whether their deaths are reported like Ward's or covered-up like Larry Neal's. 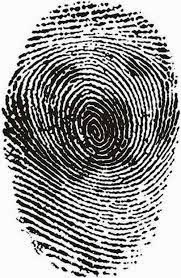 See my Facebook page for Easter Week 2016 for information about other deaths (some of them secret) among people who were mentally ill or suspected of being under the influence. We hope you had a pleasant Easter, if you celebrate that holiday, and that you will take action to prevent more executions, especially of mentally ill citizens, in the USA. It would be illegal to keep a dog in a tight space 23 hours a day and gas or Taser him for barking. It would be illegal to put a dog in deadly restraint for control. That happens to mentally ill people routinely in the nation's correctional facilities. What happened to Larry Neal? Why are we still asking that question after nearly 13 years? Cover-ups regarding the wrongful deaths of mentally challenged inmates and free people in the USA are common and vile. (1) Support the H.R. 2646 "Helping Families in Mental Health Crisis Act." The U.S. congressional bill provides for crisis intervention team (CIT) training for police and corrections officers, assisted outpatient treatment (AOT) programs (subsistence assistance plus mandated treatment) to stop recidivism, resumption of Medicaid insurance for certain facilities, and other needed changes. (2) Support "AIMI vs. USA" to compensate mentally ill people and their families for health discrimination. (3) Support Bernie Sanders' bill H.R.3543 to end contracts with private prison companies.